Black and white painting with blue eyes. Stunning black and white animal painting with blue eyes and shimmering glitter. 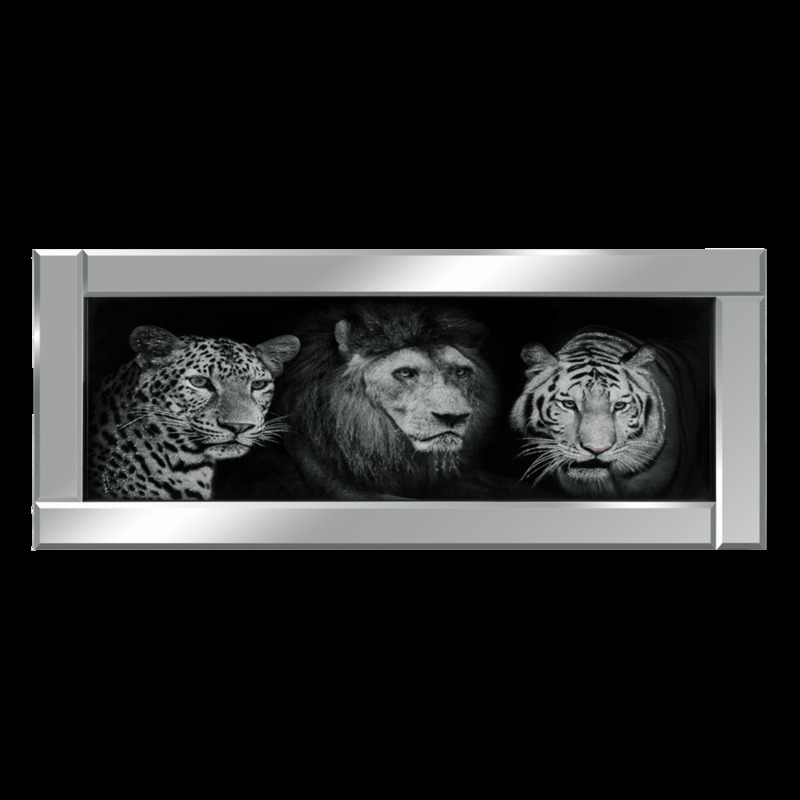 This elegant painting is surrounded in a dazzling reflective mirrored frame, the painting is protected by sturdy glass. This is the perfect painting to put up in your living room, dining room and bedroom or any room in your home.